The Kings Canyon Rim Walk at scenic Watarrka National Park. NT. In perhaps the most famous and certainly incredible part of Australia, there is an amazing ring road that visits it all. Along the base of the hypnotising rock of Uluru, the Mala Walk travels from point to point where the early Anangu people reportedly made their mark with art, and thus told their ancestral stories. In caves and the spectacular adjoining Kantju Gorge, circles feature everywhere, symbolising meeting places, campsites or waterholes. Although the ancients’ experience differs from a modern-day visit to Uluru as muchas night differs from day, the circles remain, with the greatest of these perhaps the 1135-kilometre ring route from Alice Springs, named the Red Centre Way. A shady waterhole along the way. Watarrka National Park, NT. 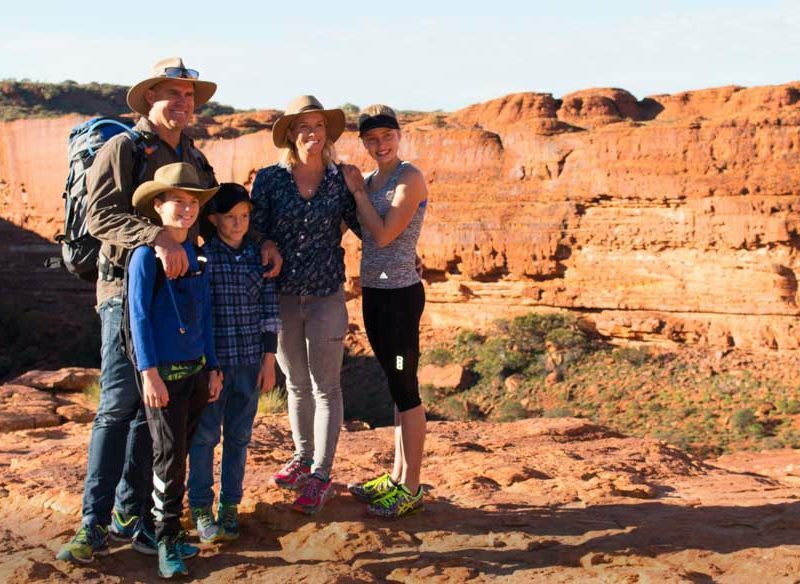 Heading out to the West MacDonnell Ranges and their national park lands you right in the middle of such world-famous sights as soaring Standley Chasm, the cool depths of Ellery Creek or the geological wonders of Ormiston Gorge, plus the resort base of Glen Helen. 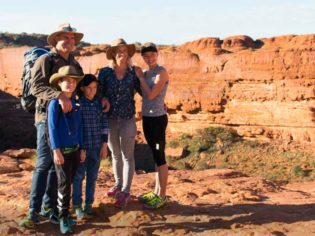 Looping round from there to Kings Canyon gorge brings you to a breathtaking, ancient landscape and the three-hour Rim Walk across dizzying sandstone cliffs. Uluru itself is a fantastic area to mix in different circles – so to speak. The Mani-Mani Cultural Theatre is home to the Putitja Dancers, a troupe that dances out the creation stories of Uluru through performance, a 3D holographic show, and appearances at occasions such as the magnificent Sounds of Silence dinners at Ayers Rock Resort. The resort has no shortage of free activities that immerse the whole family in the Red Centre way of life. The resort’s Circle of Sand is the place to enjoy a Bush Yarn told by an aboriginal storyteller, while a free bush food tour with a local guide brings a whole new range of tastes to your Red Centre experience. Cycling around Uluru. A great way to enjoy the views. Northern Territory. The aforementioned ranger-guided Mala Walk is free, but those who prefer two wheels to two feet can also cycle around Uluru’s base. You’ll find more information on these activities at the Uluru-Kata Tjuta Cultural Centre, a destination in itself to learn about traditional law, pick up maps, or even join an art workshop and tell your own story. As you circle back toward the Alice via Kata Tjuta (with its incredible Valley of the Winds walk, Curtin Springs Station and its salt lakes, and the almost alien colours of the sandstone bluffs in Rainbow Valley), you are certain to gather enough stories to ensure this is a drive worth saving up for. 1. Ride a camel through the desert at sunset for stunning views of Uluru. 2. Visit the Alice Springs Desert Park to get up close with Central Australia’s fascinating wildlife. 3. Cycle around the base of Uluru with your kids, to take in its enormity. 4. Do the Rim Walk at Kings Canyon for unforgettable sights of ancient beauty. 5. Learn how other kids learn in remote places at the Alice Springs School of the Air Visitor Centre.